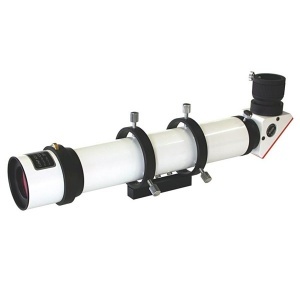 The LS35THa dedicated Hydrogen-alpha telescope is the most compact 35mm etalon system currently available. An unobstructed, front mounted 35mm etalon provides a bandwidth of <0.75 Angstrom. Prominences and some surface detail can quickly be viewed spontaneously. This very portable system is an ideal travel companion for wherever you go. The star diagonal in which the blocking filter is installed, is equipped with a helical focuser for 1.25" eyepieces. 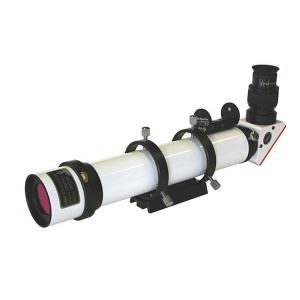 This Deluxe-Package includes additional rings with dovetail base, on the telescope pre-installed sol-searcher, a 10mm eyepiece and the B600 blocking-filter. 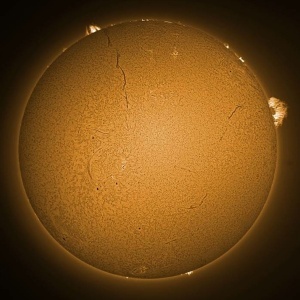 This bigger blocking-filter is better for imaging the sun.